Here at C L Promotions we have many different departments. Our Sweets department is just one of them. Choose which sweets you like the best from the wide range available. We have Mints in mini hinged tins with logo, Customised tins of sweets, Personalised chocolate bars, Promotional sweets in tin, Personalised mint stick and Personalised ball lollipops. All of our Sweets products come with an advert of your business details and company logo to ensure that you will stay advertised and one step ahead of your competitors. 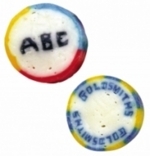 So advertise your business details upon our Sweets from C L Promotions. Watch this space for our new Sweets and confectionary department from C L Promotions. To view our entire calendar range instead of our Sweets click here. 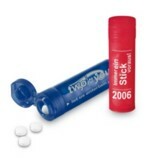 Other promotional and personalised items besides our Sweets Click here. To find out more about our Sweets click here and fill in the contact form and we'll get straight back to you.